Dating from 1338 when the then abbot received a licence to crenellate from the King to protect the abbey from any plundering French raids during the Hundred Years War. 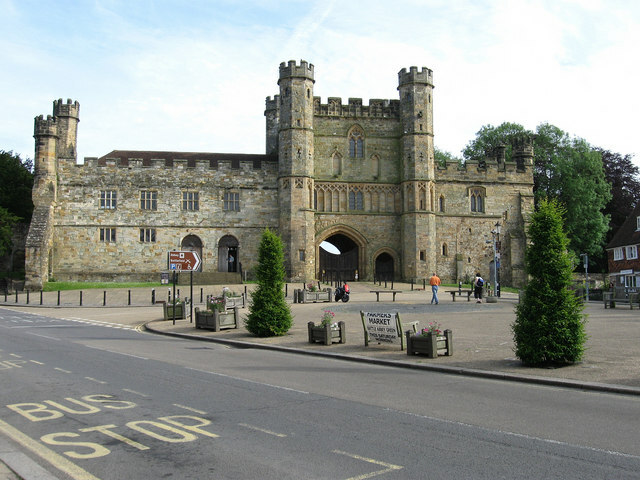 The right hand side of the entrance is from the original Norman entrance whilst the left was added in the 16th century when the abbey became the country home of one of Henry VIII's courtiers. Part of Abbey Green the former market place of Battle is in the foreground to the right. This page has been viewed about 179 times.